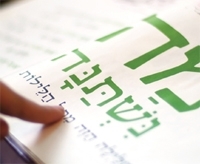 Do you know how to read Hebrew, but need a refresher? This course is designed exactly for that. Taught by Mrs. Candy Singer, in 4 weeks you will regain your reading mastery of the Hebrew language. We will be using some of the well know High Holiday prayers to practice with which will surely enhance your High Holiday experience.